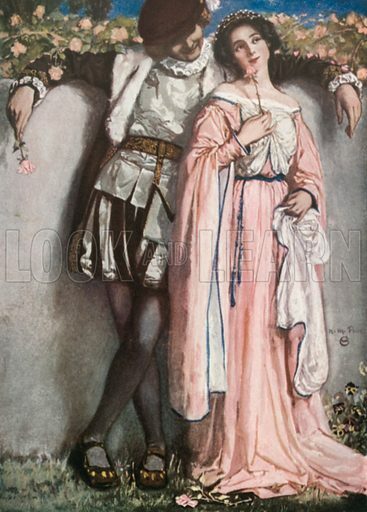 Beatrice and Benedick. Much Ado About Nothing - Act IV, Scene 1. Illustration for The Windsor Shakespeare edited by Henry Hudson (Caxton, c 1925). Not available for licensing for copyright and/or trademark reasons. This image is not available for licensing and is included here purely for interest.